Fish Pond and bunny love! Spend the morning getting to know the farm animals at our unique petting zoo. Meet and feed the animals and learn about each animals special story and how they became part of our “Ohana” (Family). Our farm manager Nis, will tell you stories about each animal’s quirky personality traits, as well as fun and educational facts about all our animals. We also have a pond where you can catch tadpoles & other small fish, treasure egg hunt around the pond, feed our ducks and ducklings and chickens. Enjoy the morning with friendly families and make new friends! Our tours are fun and educational for adults and kids! If you are an animal lover this is the place for you! Additional $20 for each extra person over 10 people. 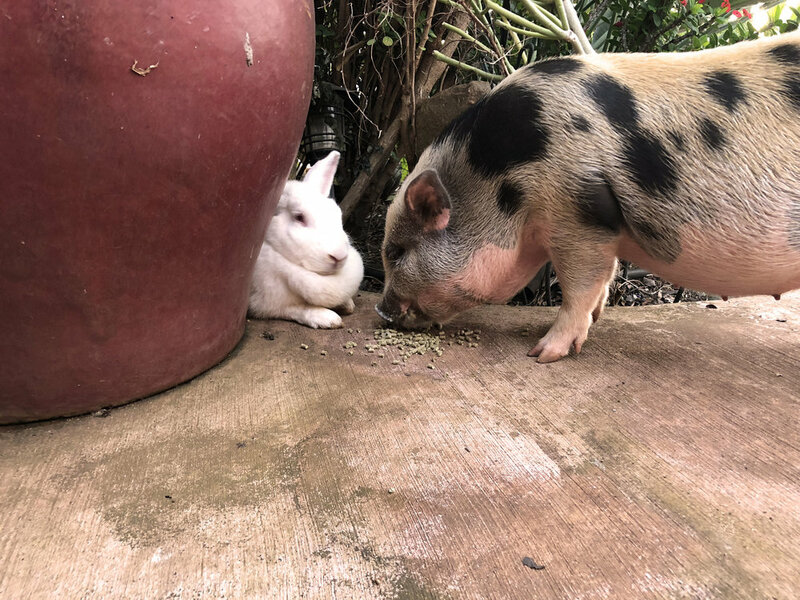 A private petting zoo will allow you to enjoy the farm at your own pace with the undivided attention of our farm manager Nis and all our animals. Meet and feed our miniature horses “Surprise” and “Makani Ua”, (Wind and Rain in Hawaiian) these two make the farm a magical place! If you are lucky you will see this inseperable twosome frolicking in the pasture! Our newest additions are our miniature cow “Kuipo” (Sweetheart) and her baby calf “Pono” (Good or Right), they are truly a joy to see. They love getting yummy treats! “Pua” (Flower in Hawaiian) our mini pig is a troublemaker but cute as can be! And, our rescued wild pig “Honey Girl” could not be sweeter. Our bunnies roam freely with safe areas and rabbit holes for them to hide in all around the farm. The show stoppers are the peacocks! 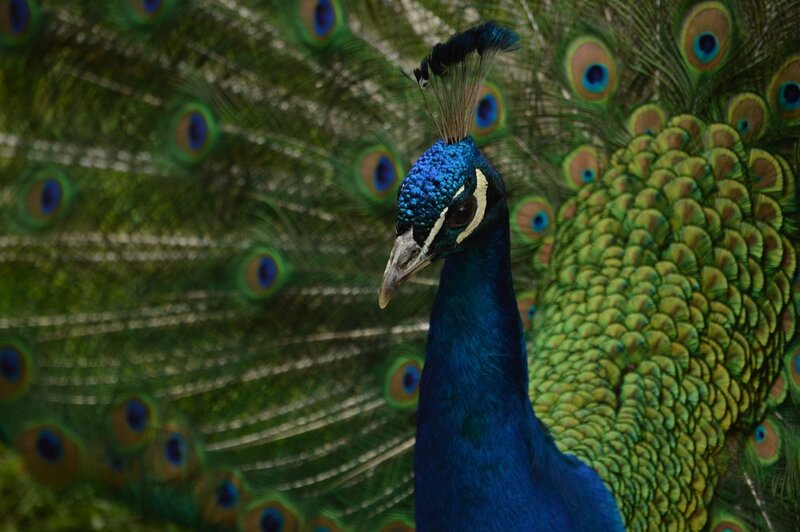 Watch them prance around and show off their colors and feathers.